Have you ever had to loop over an image pixel-by-pixel using Python and OpenCV? If so, you know that it’s a painfully slow operation even though images are internally represented by NumPy arrays. So why is this? Why are individual pixel accesses in NumPy so slow? You see, NumPy operations are implemented in C. This allows us to avoid the expensive overhead of Python loops. When using NumPy, it’s not uncommon to see performance gains by multiple orders of magnitude (as compared to standard Python lists). In general, if you can frame your problem as a vector operation using NumPy arrays, you’ll be able to benefit from the speed boosts. The problem here is that accessing individual pixels is not a vector operation. Therefore, even though NumPy is arguably the best numerical processing library available for nearly any programming language, when combined with Python’s for loops + individual element accesses, we lose much of the performance gains. Along your computer vision journey, there will be algorithms you may need to implement that will require you to perform these manual for loops. 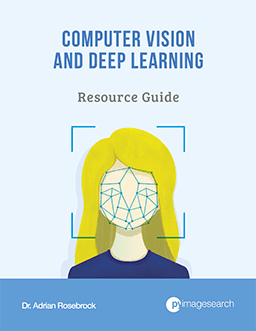 Whether you need to implement Local Binary Patterns from scratch, create a custom convolution algorithm, or simply cannot rely on vectorized operations, you’ll need to understand how to optimize for loops using OpenCV and Python. In the remainder of this blog post I’ll discuss how we can create super fast for pixel loops using Python and OpenCV — to learn more, just keep reading. A few weeks ago I was reading Satya Mallick’s excellent LearnOpenCV blog. His latest article discussed a special function named forEach . The forEach function allows you to utilize all cores on your machine when applying a function to every pixel in an image. Distributing the computation across multiple cores resulted in a ~5x speedup. Is there a forEach OpenCV function exposed to the Python bindings? Unfortunately, no, there isn’t — instead, we need to create our own forEach-like method. Luckily this isn’t as hard as it sounds. I’ve been using this exact method to speed up for pixel loops using OpenCV and Python for years — and today I’m happy to share the implementation with you. In the first part of this blog post, we’ll discuss Cython and how it can be used to speed up operations inside Python. From there, I’ll provide a Jupyter Notebook detailing how to implement our faster pixel loops with OpenCV and Python. What is Cython? And how will it speed up our pixel loops? We all know that Python, being a high-level language, provides a lot of abstraction and convenience — that’s the main reason why it is so great for image processing. What comes with this typically is slower speeds than a language which is closer to assembly like C.
You can think of Cython as a combination of Python with traces of C which provides C-like performance. Cython differs from Python in that the code is translated to C using the CPython interpreter. This allows the script to be written mostly in Python along with some decorators and type declarations. So when should you take advantage of Cython in image processing? Probably the best time to use Cython would be when you find yourself looping pixel-by-pixel in an image. You see, OpenCV and scikit-image are already optimized — a call to a function such as template-matching, like we did when we OCR’d bank checks and credit cards, has been optimized in underlying C. There is a tiny amount of overhead in the function call, but that’s it. You would never write your own template-matching algorithm in Python — it just wouldn’t be fast enough. If you find yourself writing any custom image processing functions in Python which analyze or modify images pixel-by-pixel (perhaps with a kernel) it is extremely likely that your function won’t run as fast as possible. In fact, it will run very slowly. However, if you take advantage of Cython, which compiles with major C/C++ compilers, you can achieve significant performance gains as we will demonstrate today. A few years ago I was struggling to come across a method to help improve the speed of accessing individual pixels in a NumPy array using Python and OpenCV. Everything I tried didn’t work — I resorted to framing my problem as complicated, hard to follow vector operations on NumPy arrays to achieve my desired speed increase. But there will still times where looping over each individual pixel in an image was simply unavoidable. It wasn’t until I found Matthew Perry’s excellent blog post on parallelizing NumPy array loops with Cython was I able to find a solution and adapt it to working with images. 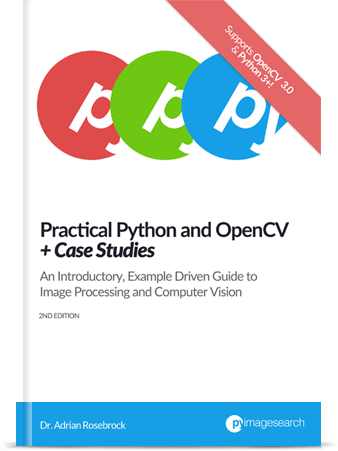 learn how to implement faster pixel-by-pixel loops with OpenCV and Python. Note: I recommend that you install these into your virtual environment for computer vision development with Python. If you have followed an install tutorial on this site, you may have a virtual environment called cv. Before issuing the above commands (Lines 2-5), simply enter workon cv in your shell (PyImageSearch Gurus members may install into their gurus environment if they choose to do so). If you don’t already have a virtual environment, create one and then symbolic-link your cv2.so bindings following instructions available here. Alternatively, use the “Downloads” section of this blog post to follow along with the Jupyter Notebook I have created for you (highly recommended). If you’re using the notebook from the Downloads section, ensure to change your working directory to where the notebook lives on your disk. 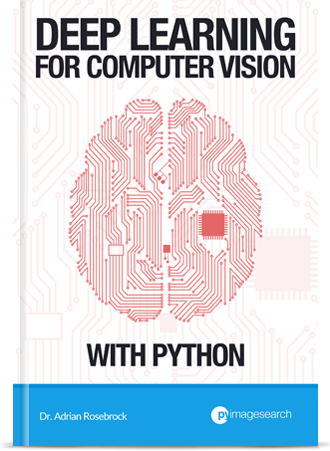 Regardless of whether you have chosen to use the pre-baked notebook or follow along from scratch, the remainder of this section will discuss how to boost pixel-by-pixel loops with OpenCV and Python by over two orders of magnitude. In this example, we’ll be implementing a simple threshold function. For each pixel in the image, we’ll check to see if the input pixel is greater than or equal to some threshold value T .
If the pixel passes the threshold test, we’ll set the output value to 255. Otherwise, the output pixel will be set to 0. 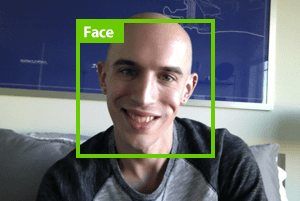 Using this function we’ll be able to binarize our input image, very similar to how OpenCV and scikit-image’s built-in thresholding methods work. We’ll be using a simple threshold function as an example as it will enable us to (1) not focus on the actual image processing code but rather (2) learn how to obtain speed boosts when manually looping over every pixel in an image. Note: When your notebook is launched, I suggest you click “View” > “Toggle Line Numbers” from the menubar — in Jupyter, each In [ ] and Out [ ] block restarts numbering from 1, so you’ll see those same numbers reflected in the code blocks here. If you are using the notebook from the Downloads section of this post, feel free to execute all blocks by clicking “Cell” > “Run All”. Inside In  above, on Lines 2-3 we import our necessary packages. Line 5 simply specifies that we want our matplotlib plots to show up in-line within the notebook. On Line 3 of In  , we load example.png followed by converting it to grayscale on Line 4. Then we show the graphic using matplotlib (Line 5). Figure 1: Our input image (400×400 pixels) that we will be thresholding. Within In  above, we load Cython. Line 1 in In  above tells the interpreter that we want Cython to determine which lines can be optimized. On Lines 5 and 6 we extract the height and width from the image’s .shape object. We will need w and h such that we can loop over the image pixel-by-pixel. Lines 9 and 10 begin a nested for loop where we’re looping top-to-bottom and left-to-right up until our height and width. Later, we will see that there is room for optimization in this loop. On Line 12, we perform our in-place binary threshold of each pixel using the ternary operator — if the pixel is >= T we set the pixel to white (255) and otherwise, we set the pixel to black (0). Finally, we return our resulting image . The yellow-highlighted lines in Out  demonstrate areas where Cython can be used for optimization — we’ll see later how to perform optimization with Cython. Notice how pixel-by-pixel looping action is highlighted. Tip: You may click the ‘+’ at the beginning of a line to see the underlying C code — something that I find very interesting. The output shows that 244 ms was the fastest that the function ran on my system. This serves as our baseline time — we will reduce this number drastically later in this post. Figure 2: Thresholding our input image using the threshod_slow method. Line 1 of In  again specifies that we want Cython to highlight lines that can be optimized. Then, we import Cython on Line 2. The beauty of Cython is that very few changes are necessary for our Python code — you will; however, see some traces of C syntax. Line 4 is a Cython decorator stating that we won’t check array index bounds, offering a slight speedup. The following paragraphs highlight some Cython syntax, so pay particular attention. We then define the function (Line 5) using the cpdef keyword rather than Python’s def — this creates a cdef type for C types and def type for Python types (source). The threshold_fast function will return an unsigned char [:,:] , which will be our output NumPy array. We use unsigned char since OpenCV represents images as unsigned 8-bit integers and an unsigned char (effectively) gives us the same data type. The [:, :] implies that we are working with a 2D array. From there, we provide the actual data types to our function, including int T (the threshold value), and another unsigned char array, our input image . On Line 7, using cdef we can declare our Python variables as C variables instead — this allows Cython to understand our data types. Everything else in In  is identical to that of threshold_slow which demonstrates the convenience of Cython. This time notice in Out  that fewer lines are highlighted by Cython. In fact, only the Cython import and the function declaration are highlighted — this is typical. The purpose for reloading the image is because our first threshold_slow operation modified the image in-place. We need to re-initialize it to a known state. This time we are achieving 41.2 microseconds per call, a massive improvement of the 244 milliseconds using strict Python. This implies that by using Cython we can increase the speed of our pixel-by-pixel loop by over 2 orders of magnitude! After reading through this tutorial you might be wondering if there are more performance gains we can achieve. While we have achieved massive performance gains by using Cython over Python, we’re actually still only using one core of our CPU. But what if we wanted to distribute computation across multiple CPUs/cores? Is that possible? It absolutely is — we just need to use OpenMP (Open Multi-processing). In a follow-up blog post, I’ll demonstrate how to use OpenMP to further boost for pixel loops using OpenCV and Python. Inspired by Satya Mallick’s original blog post to speed up for pixel loops using C++, I decided to write a tutorial that attempts to accomplish the same thing — only in Python. Unfortunately, Python has only a fraction of the function calls available as bindings (as compared to C++). Because of this, we need to “roll our own” faster ‘for’ loop method using Cython. The results were quite dramatic — by using Cython we were able to boost our thresholding function from 244 ms per function call (pure Python) to less than 40.8 μs (Cython). What’s interesting is that there are still optimizations to be made. Our simple method thus far is only using one core of our CPU. By enabling OpenMP support, we can actually distribute the for loop computation across multiple CPUs/cores — doing this will only further increase the speed of our function. I will be covering how to use OpenMP to boost our for pixel loops with OpenCV and Python in a future blog post. For the time being, be sure to enter your email address in the form below to be notified when new blog posts are published! Thanks so much for all your OpenCV research. I’ve worked hard to get my for loops multiprocessed on Raspberry Pi 3’s quad cores, mostly via your other tutorials. I’m really looking forward to giving cython a try, and will definitely be looking forward to your OpenMP post. Impressive. 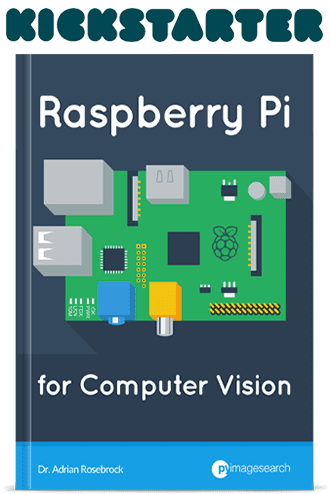 Will drowsiness detection using raspberry pi 3 fast enough for detetcting eye blink with this? No, that requires a different set of optimizations include Haar cascades and skip frames. Before stating with OpenMP, maybe joblib can do the job. Its super simple API makes using parallel execution very easy. Thanks for sharing, Vitali! I have not tried numba before, I’ll have to take a look. Whats really cool is you can get faster buy switching the platform to: cuda, multi-cpu, amd-hsa. In contrast to pypy it gives and requires more interaction from the programmer. I can recommend numba version 0.34 with prange and parallel, its a lot faster for larger images. Can i run it on a raspi3? I am Guru, Working in Deep Learning/Computer Vision. Can you please share me few details on using Numba with the existing Python code(OpenCV DL), so that I can use the same in a GPU environment. Now this is very timely. I have just spent two weeks writing an RGB LED matrix simulator, on my windows desktop machine, which creates a simulated LED matrix using TkInter to test and debug animations before FTPing to a Pi3 to drive a real matrix (one of those cheap HUB75 jobs from China). My preferred development environment is PyCharm and I have found this http://geoexamples.com/python/2017/04/20/pycharm-cython.html which shows how to use Cython with PyCharm and may be of interest to others (I hope). Currently, my simulator slows considerably the more animations I add to it (as expected) so optimising for loops is a must for me – even though I’m only using the simulator to debug my animation code but the optimization may well also be needed on the Pi too. My code is still in development but I’m looking forward to speeding up the for loops. Thanks for sharing your project, Brian! The link to the PyCharm + Cython integration is also much appreciated. Thanks for sharing, Brian. I’ve been using PyCharm more and more. In general, I like Jetbrains products (2 for 2 since I like IntelliJ as well). I wonder how the debugger will work with Cython — something not covered in that link or in some others I found while searching. Calling it now, Adrian, this will be one of your most popular blog posts. As a side note, you can also use scipy.signal.convolve2d (https://docs.scipy.org/doc/scipy/reference/generated/scipy.signal.convolve2d.html) for — I guess optimized — kernel manipulations on numpy arrays. Hi Gaël — the point of this blog post was not to find the fastest method to threshold an image. As I mentioned in the introduction, if you frame the problem as a vector operation NumPy will almost always win. Instead, the point of this blog post is to demonstrate how you can optimize your “for” loops for non-vector operations. Thresholding was an example and meant to be extended to other algorithms. Great effort Adrian and great topic. I tried pool.apply_async and numba separately, it can boost performance individually, but when I combine them two. It gets very slow………might be a good topic for next blog, combining compiled code and multiprocessing? Not that you’re claiming this method does, but just to confirm: this method (or OpenCV forEach) doesn’t actually get you vectorization, does it? So, you’re getting thread parallelism (through OpenMP or forEach) but not data parallelism. This is something where numba or numpy could potentially help. Hi Nico — as I mentioned in the introduction of the blog post this method is meant to demonstrate how you can speedup for loops. I used thresholding as an example as it’s simple for everyone to understand. Yes, thresholding can be vectorized; however, there are algorithms that cannot be vectorized. In this case you would need to speedup your for loops — that is the intended purpose of this tutorial. How can I display my result? Hey Marco — what function is returning a Mat object instead of a NumPy array? Could you elaborate? I use your function: threshold_fast, I want to show the returning image using cv2.imshow but then the mentioned error appears. It seems that I have to use the function “numpy.asarray”, I’m confused with the types. Another question, Is it recommendable use built-in functions from OpenCV or Python in the .pyx file? Thank you for sharing, Marco. I haven’t encountered that error before but it’s good for other readers to know about. You can use OpenCV functions inside your Cython code provided your data types are correct. That’s what I got on my machine. Njit is very tidy and quick and a nose in front after loading the function, prange was close on this 400 X 400 image but not the fastest today, numpy seems to lag njit and njit prange a bit on this test. I note in all cases that loading the function and then calling it caused quite variable timings, but repeatedly calling the function once the function is parsed is fairly stable. Interesting! i didnt understand one thing how will get T ? what is the algorithm will use for that ? “T” is your threshold value. It is manually supplied. table_dbz has values from -32, -31.5, …, 95 (as will the output) so they must be floats. Can you see why this is giving me an error? Hey Jeff — I’m not sure what may be causing this error off the top of my head. 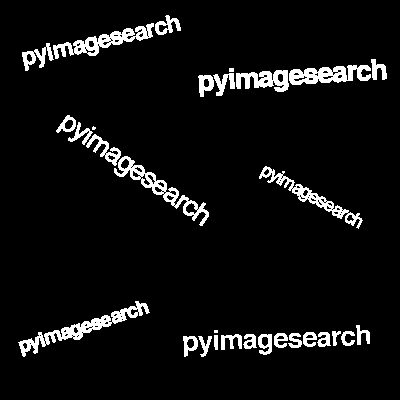 I hope another PyImageSearch reader can help you! I am working on comparing one to many images(kept in the directory). I have implemented a for loop to iterate over the images in the directory, but the processing time is too much. Can you suggest something to reduce the execution time? I will be really grateful to you. What algorithm are you using to compare the two images?